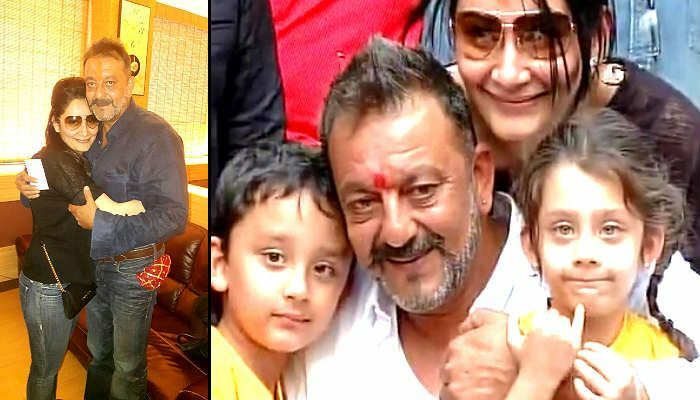 Bollywood actor Sanjay Dutt was released from Yerawada Central Jail in Pune on the morning of 25 February at the end of his 42-month prison term - after being convicted in the 1993 Mumbai bomb blast case for illegal possession of arms. Dutt had already served 18 months as an undertrial and then returned to jail in May 2013 to serve the remaining 42 months of his sentence. His wife Manyata, and their children, the actor's sister and former MP Priya Dutt and her family, Bollywood director Rajkumar Hirani and a large crowd of fans and media personnel thronged the gates of Yerawada jail to receive the actor - amid tight security. Shortly after he walked out, the actor was driven to Pune airport from where he boarded a chartered plane to Mumbai. Once in Mumbai, he will head to the famed Siddhi Vinayak temple to offer prayers. He is then scheduled to visit the Bada Kabrastan in Marine Lines to pray at the grave of his mother, the late actor Nargis Dutt. He is scheduled to interact with the media later in the day.